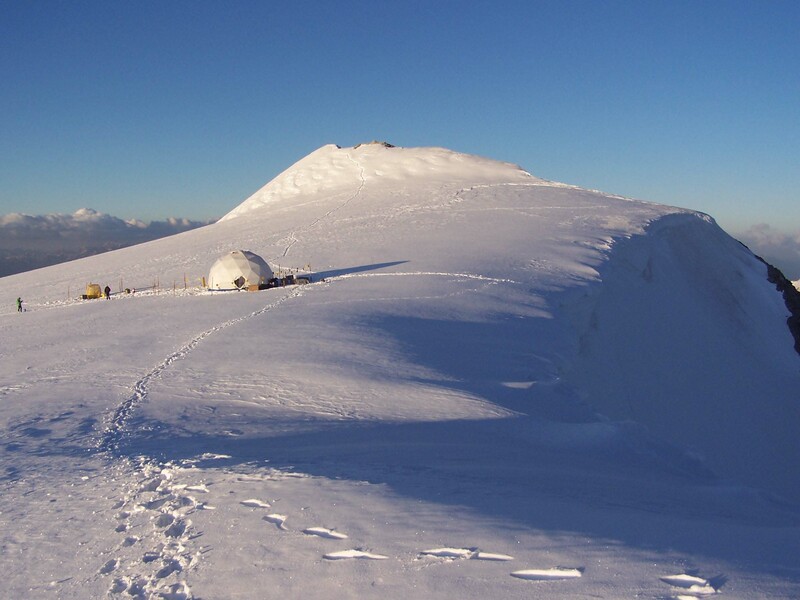 Four 60-75 m deep ice cores were retrieved at an altitude of 3860 m at the Ortles’ Vedretta Alta in the Italian Central-Eastern Alps. These ice cores are the first ever extracted from this sector of the Alps. In three cases the drilling reached the glacier bedrock at 75 m depth whereas the last ice core was retrieved until 60 m of depth (15 m above bedrock). The presence of an uppermost, 24 m thick layer of temperate firn posed significant challenges for drilling the underlying cold ice layers that were observed beneath the firn, all the way to the bedrock. This observation confirms the hypothesis that, despite the recent warming, the Ortles’ Vedretta Alta still preserves non-temperate (cold) ice for most of its thickness; a good news for the conservation of the paleoclimatic signal. The cold ice of Ortles’ Vedretta Alta is believed to be a remnant of previous cold climates. This site appears therefore to be still very suitable for climatic reconstructions in the Central-Eastern Alps. After the ice core were retrieved, two boreholes were instrumented with an inclinometry tool and a thermistor string. 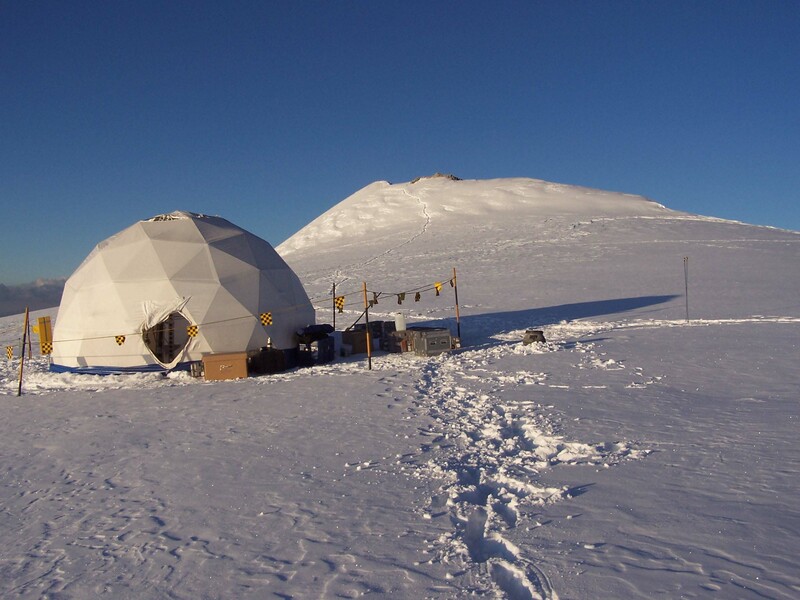 These instruments will measure the ice cap’s dynamical and thermal regimes. 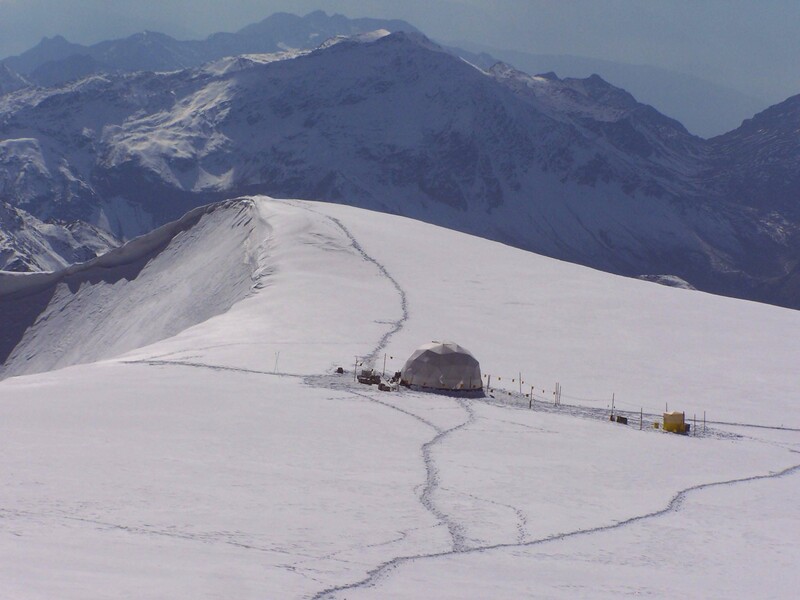 An automatic weather station was (AWS) installed at an altitude of 3830 m. a.s.l. and represents the highest AWS in this sector of the Alps. More info at www.ortles.org.